ASPHostPortal windows hosting is compatible with the SilverStripe CMS. We offer SilverStripe CMS based hosting plan from just $5/month (see our SilverStripe CMS Hosting Plan). SilverStripe is a free and open source programming framework and content management system (CMS) for creating and maintaining websites. The SilverStripe Framework brings immense flexibility and ease in customising your site and provides fundamentals such as security models, workflow, caching, and multiple language and subsite support. At ASPHostPortal.com, we specialize in SilverStripe CMS Hosting. Our control panel has built in installation wizard for SilverStripe CMS. We always update and maintain the latest version of SilverStripe CMS in our control panel wizard. You can have SilverStripe CMS installed in just 1 click and 1 minute installation. 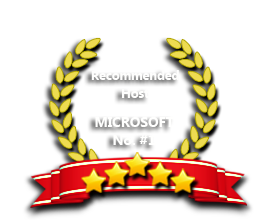 Our suitable web hosting plans for SilverStripe CMS based sites can be seen on our Windows hosting plan page. We provide full compatability with SilverStripe CMS hosting and all popular plug-in. Free professional installation of SilverStripe CMS. Our Windows Cloud Hosting fully supports SilverStripe CMS hosting. You are more than welcome to try our Free Windows Cloud Hosting before you decide to buy. You can get your Free Cloud Windows hosting account up and running within the next few minutes.